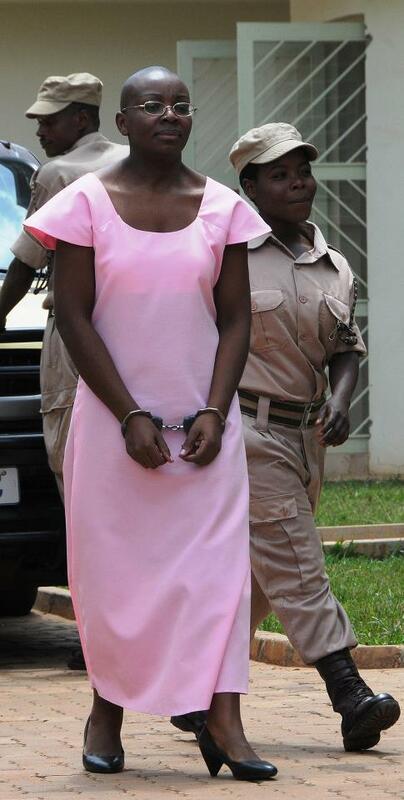 Since Friday, July 10, 2015, the management of the central prison in Kigali has decided to severely tighten the prison regime of Madame Victoire Ingabire Umuhoza, chair of FDU Inkingi, without any explanation. Indeed, this Friday, the prison management refused her lawyer Gatera the authorization to meet her for consultation, on the grounds that he had nothing more to do at the prison since his client has already been sentenced. However, it is public knowledge that Mrs. Ingabire has lodged an appeal to the African Court on Human and Peoples Rights, which has yet to fix a hearing date. In this regard, it does not make any sense to refuse the lawyer access to his client. The management of the prison at the same time confiscated all her books, including a book of church hymns. It must be noted that she had obtained them with the authorization of the prison management. The guards prevented Mrs. Ingabire from talking to the party members who bring her food, threatening to punish her if she did talk to them. It is quite evident that for someone already detained in solitary confinement, these measures amount to mental torture in violation of the International Convention Against Torture, to which Rwanda is a contracting party. It is quite evident that for someone already detained in solitary confinement, these measures amount to mental torture in violation of the International Convention Against Torture, to which Rwanda is a contracting party. Since Saturday, July 11, 2015, Mrs. Ingabire has sought an audience with the management of the prison to find out the reasons behind these draconian measures taken against her. The manager flatly refused to talk to her. FDU Inkingi takes the opportunity to remind prison management that even prisoners are entitled to a minimum of rights. In witness whereof, FDU Inkingi calls on the prison management to lift those measures or at the very least provide an explanation for those measures. Boniface Twagirimana is first vice president and Victoire Ingabire is the chair and presidential nominee of the Rwandan political party FDU Inkingi. FDU stands for Forces Démocratiques Unifiées, or United Democratic Forces. Contact the party at (+250) 728636000 or info@fdu-rwanda.com and learn more at http://fdu-rwanda.com andhttp://victoire-ingabire.com. Social media contacts are Facebook, YouTube and Twitter. Previous Rwanda: inteko ishinga amategeko ihisemo gusohoza ubuhanuzi bwa Magayane. Next Ubwami bwakuweho na Kamarampaka none bugaruwe na Kamarampaka. Ese abanyarwanda baribeshye? !